This short documentary by Lubosh Cech shows the process of creating and blessing Tulku jewelry. Filmed in Kathmandu, Nepal in 2009, the film takes you to the magical place where Tulku jewelry is born. 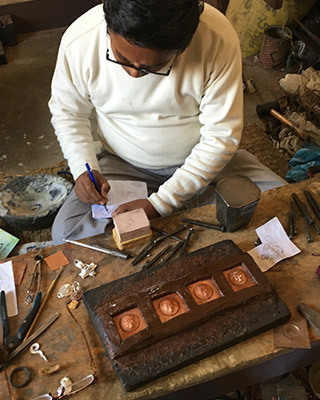 Meet the principal craftspeople Karla works with: Rajendra Bajracharya, Kiran Shakya, and Pravin Chitrakar. Mata—though unable to be filmed—is shown as she blesses the amulets. Our hope is that, by sharing this video, the spirit of love and devotion our work is infused with is made more palpable. Enjoy! Tulku jewelry is caringly hand-crafted with consciousness by several loving hands, hearts, and souls to awaken its powerful quality. 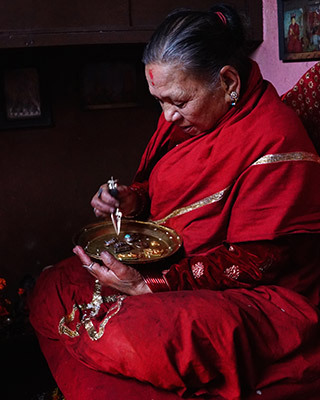 In keeping with Karla’s intention to bring the greatest blessings, support and peace to the people who wear Tulku, each amulet is carved in repousse by master artist Rajendra Bajracharya—a 17th generation Buddhist priest; then blessed by a Nepalese holy woman known as Mata. 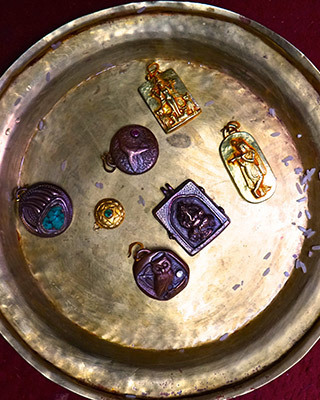 These amulets are imbued with the power inherent in traditions where there is no separation between pure spirituality and the act of creation. Through wearing these amulets, that power supports, inspires, and protects us on our own particular Paths in Life. In the Tibetan tradition, a tulku is the recognized reincarnation of a past Buddhist master. The new incarnation takes rebirth to bring blessings and benefit to all sentient beings. 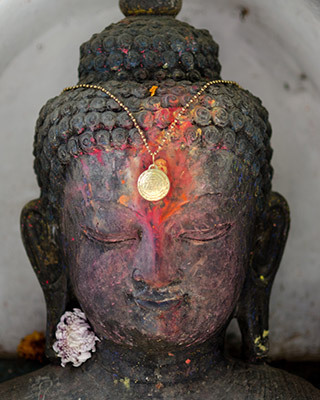 Tulku jewels—like the name they embody—represent the rebirth of spirit into a new form. They are tools to remind us of our divine nature which is unbounded by time or space. Wide is an organization with over 15 years of experience implementing maternal and neonatal mortality prevention programs in areas where women often die alone at home giving birth. Our aim is to improve access to, and utilization of healthcare services to reduce the risk of maternal and neonatal mortality in the most remote, rural areas. We believe that all women and newborns can receive the quality healthcare services they deserve during pregnancy and childbirth, anytime and anyplace. We work in remote areas with the lowest human development indexes, where other organizations rarely operate. The Blue Deer Center is an important home for the teachings and practices of Heart - those ancestral traditions of healing, ritual and retreat which restore connection to self, community and the Natural World. The Center is supported by the living spirit of our land, nourished by the tradition of the Huichol people, and guided by the timeless wisdom of Sacred Fire. 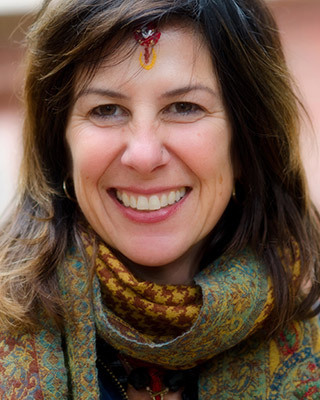 The Blue Deer Center holds these teachings in the present day as an offering to create connection to the divine natural world and to each other. Sacred Fire Foundation (SFF) is a charitable organization, supporting initiatives that preserve and promote Ancient Wisdom traditions—and their perspectives—to insure their continuance for our children and future generations. The world's Ancient Wisdom traditions are being threatened, and a key focus of our work is in supporting relationships with them and between them. Through events and media, the Foundation seeks to bring a greater awareness and understanding to our modern culture of the irreplaceable benefit that Ancient Wisdom provides the people of the world.